On This Day, a royal blue jelly. 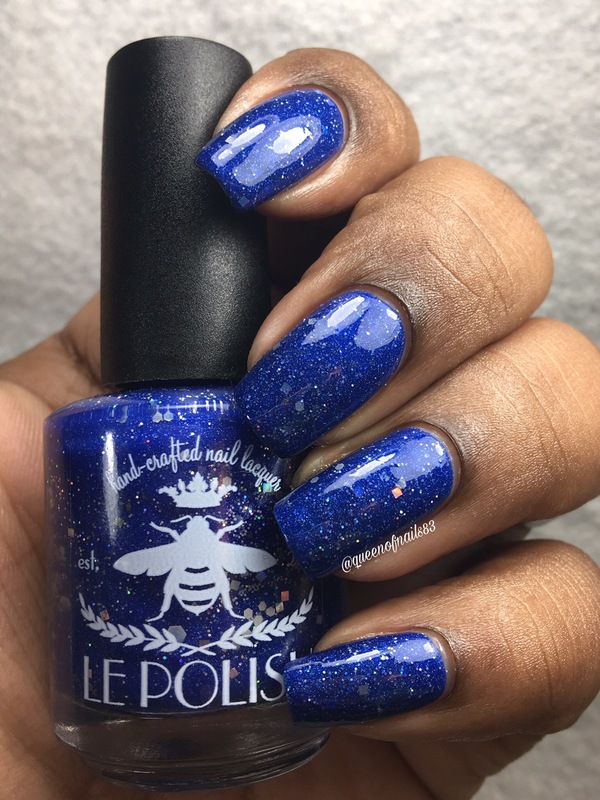 Hey y’all, I’m back with another polish from le Polish. However, this time, things were done a little differently with this collection. What do you get when you add an amazing maker and 12 bloggers? 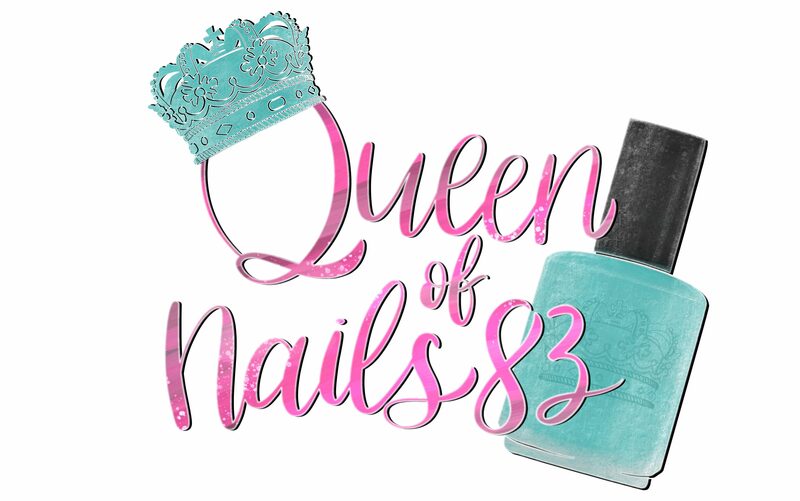 The answer…12 Days of Polish!!! Instead of group members and fans submitting an inspiration photo and voting or Allison choosing a Winter/Holiday based inspiration, Allison chose to go the route less travelled. Each blogger submitted a winter/holiday inspired photo to Allison who then created 12 beautiful polishes. This was such an amazing opportunity to be selected amongst this group of bloggers and I’m so excited and honored to be a part of this project. 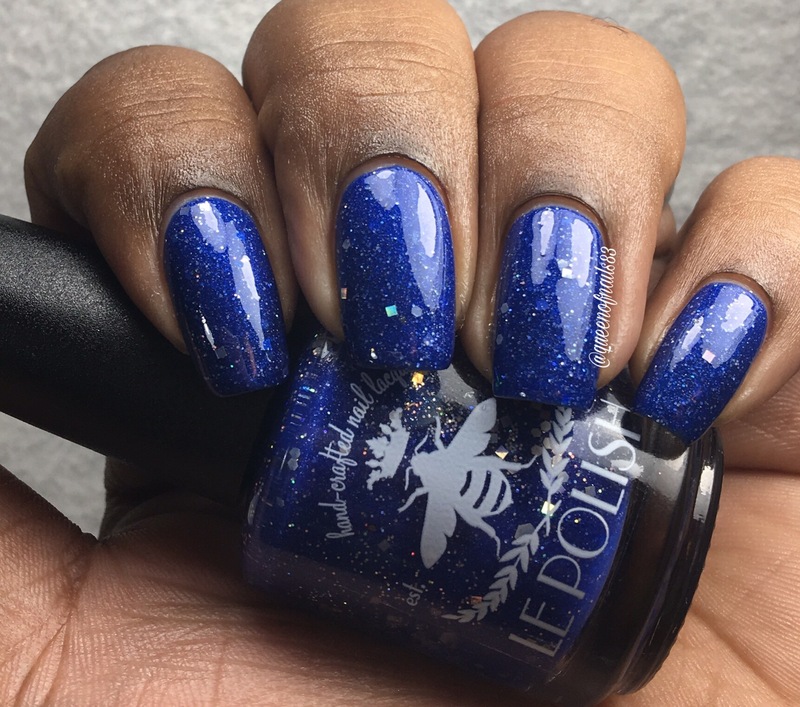 But before I jump into the polish let me give you a little background on the inspiration for my Holiday/Winter inspired polish. February in Maryland is the epitome of winter and what better holiday to celebrate love than Valentine’s Days?! 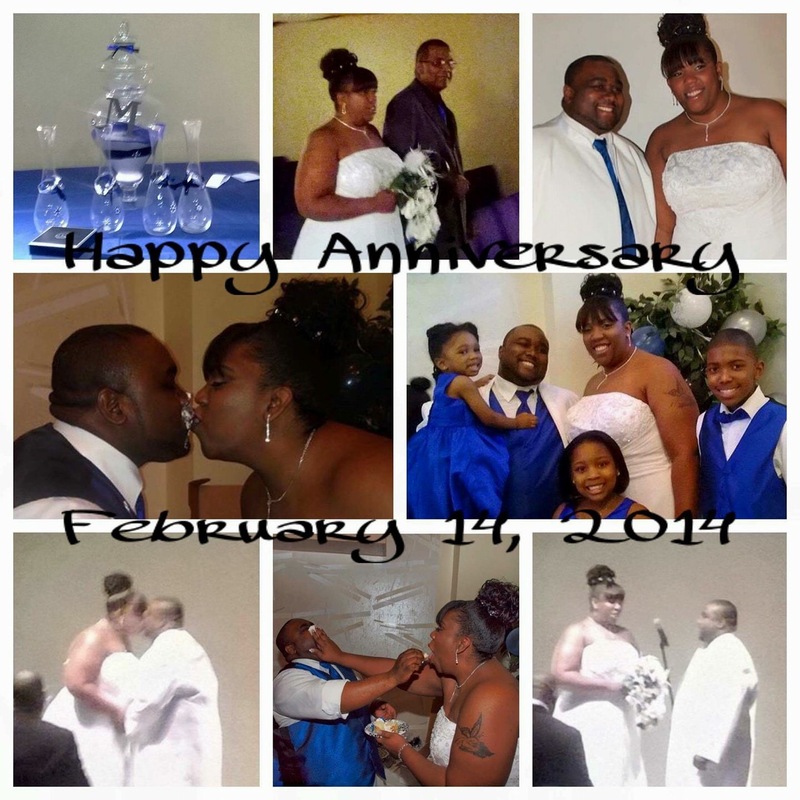 Jason and I married on Valentine’s Day 2014 and it was by far one the best days of my life. But the day did not start off without its fair share of…CRAZY!!! Imagine waking up the day before your wedding, fielding calls, text messages and facebook messages asking, “are you still getting married tomorrow?” “Is the wedding still on?” Not because of ‘cold feet’, in the traditional sense, but because the governor had issued a State of Emergency Declaration just 2 days before. Yes, on Feb. 11th, Maryland residents were preparing for what was the largest snowfall of the season. The snow fell and fell and fell and I was a wreck yet I was adamant on getting married on Valentine’s Day. Luckily, thanks to family, friends and neighbors, Jason and I wed.
On This Day is a royal blue jelly with lots of silver and gray shimmer and glitter. 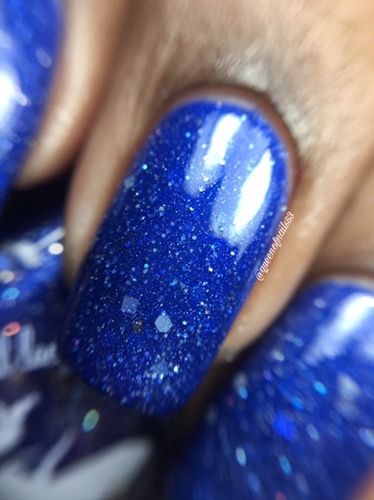 I may be a bit bias, but this is by far the pretties blue I’ve seen! 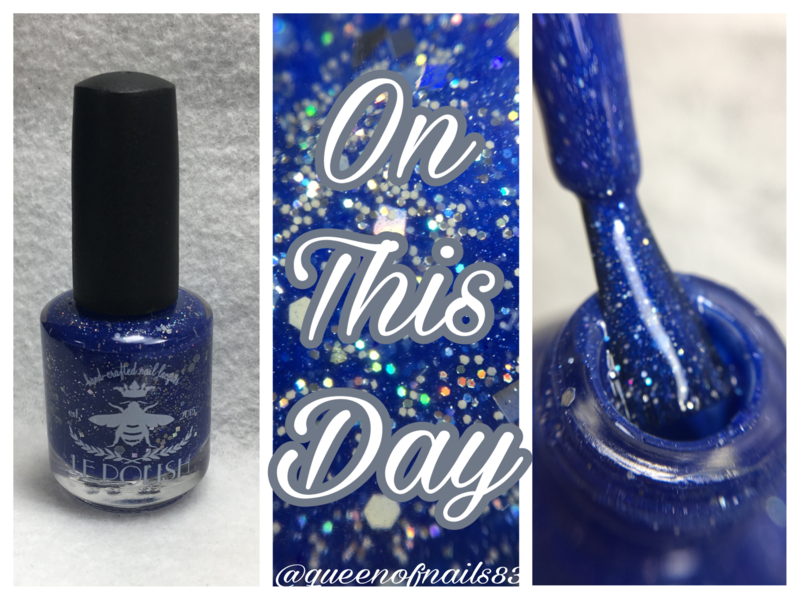 So here’s how you can score yourself a bottle of On This Day and the other polishes in the 12 Days of Polish Collection. Do you have memories that started out with a bump in the road only to be better than you imagined? This is soo pretty, the perfect shade of blue! awwwww you guys are noobs! 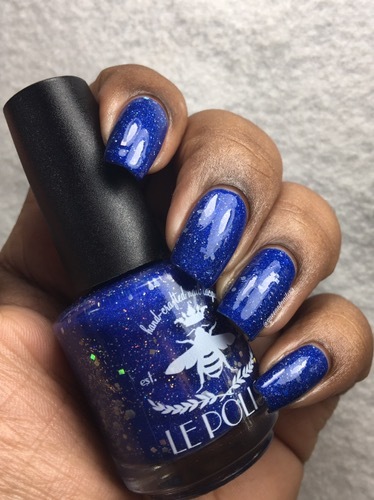 The polish is stunning though. This blue is amazing!!! A great way to honor a special day. I love blue on you. You should wear only blue. That is a WICKED polish!!!!! Love it! That is one gorgeous blue for sure! Oh wow! You both did a great job creating this, it truly is one of the most beautiful blue jellies ever! I think I’d be an absolute wreck if I had to deal with all of that right before my wedding. But it does make an incredible memory and story. The polish is beautiful, I like how the silver flecks seem to glow between the layers of polish. Such a beautiful shade and I love the inspiration!